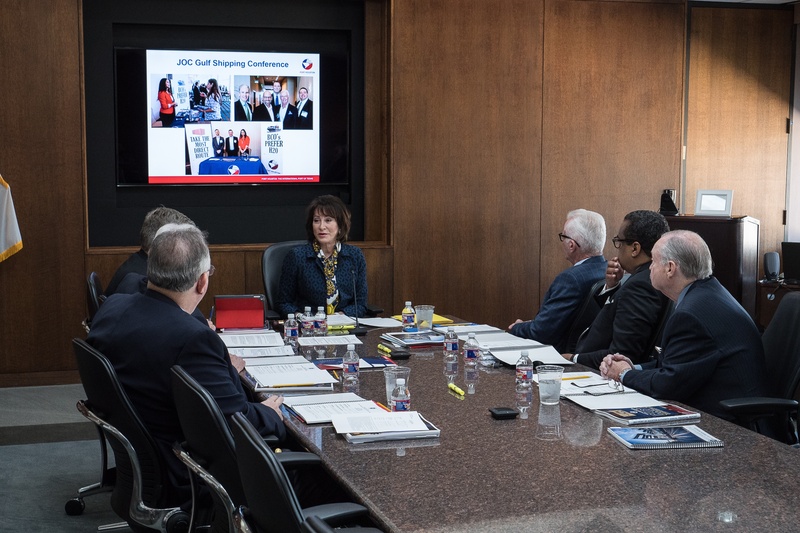 “We continue to see positive activity for all sectors of business through Port Houston facilities,” Port Houston Executive Director Roger Guenther said during the April Port Commission meeting. Year-to-date increases were recorded across all major lines. Steel tonnage overall increased 14 percent to 875,000 tons and steel imports grew by 11 percent. Container volume grew 2 percent to 617,000 TEUs, and bulk cargo recorded at 2.6 million tons, reflecting 14 percent growth driven primarily by export coal. “Solid operating and financial results for the first quarter of the year speak to the strengths of strategic guidance provided by the Port Commission, our dedicated Port staff and a productive workforce, all of which provide a competitive solution for freight to move through Port Houston,” Guenther concluded in his remarks to the Commission.